Senses. You have five senses, touch, taste, sight, sound, and smell. You use all these senses on a daily basis, but not necessarily in a survival situation. Ensuring that all your senses are focused and trained is a huge part of surviving out in the wilderness but they are just as important for surviving in a suburban environment as well. Many of us live in a suburban environment, our senses are bombarded with stimulation and distraction. However, it is very important to train your senses to focus on the differences in your environment. This is especially true when it comes to your sense of smell. 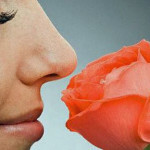 Learn what the normal smells are for the environments you frequent. A small whiff of a different smell could indicate trouble and you will be one step ahead if you smell it before it gets to you. You have heard the old saying “I smell trouble?” Even back in the day, people focused on their sense of smell for things out of the norm. Recently I had an encounter that made me realize just how important the sense of smell is and that my nose could actually save my life. I was in my neighborhood, outside talking to my mom who lives across the street from me. It was a nice day, sunny and clear. It was about 6:30pm and we had been standing there talking for a good 15 minutes. As we talked, I started to smell cigarette smoke. None of us smoke, nor do any of our neighbors. I mentioned the smell to my mom, she started sniffing and also noticed the smell. We both got a bit more strategic in our positions and much more alert to our surroundings. I must admit, both of us had become pretty comfortable as we stood there talking. The smell started getting stronger, which indicated the individual smoking was getting closer. By now, our neighbor had come outside and was working on trimming his bushes. We felt a bit better as now there were three of us outside, safety in numbers. After a moment I started to investigate, probably not the smartest move, but I went around to the side of the house and there was some guy right there, cutting between my parents’ house and the neighbor’s house. I think I may have startled him just as he startled me, but I had a bit of an upper hand, I was expecting to see someone, just not quite that close. I yelled in an authoritative tone, “Hey, what are you doing there?”, my voice echoed between the two houses which made it sound louder than it was, and this alerted the other neighbor who had been trimming his bushes. He immediately came over and ask “what’s going on?” The man smoking said he was just cutting through the yard. I said you are trespassing, and my neighbor said I am going to get the police. His son-in-law lives with him and is a cop. The guy smoking got real scared and said no need man, I’m sorry I was just cutting through, I live just over on the next street. Regardless, my neighbors son-in-law came out, in full uniform because he was getting ready to go to work on the night shift. He took him aside and gave the guy a good questioning, looked at his id and did determine that the guy did live just a few streets over. He also gave him a warning not to be cutting through yards. We were lucky as they guy was harmless, just lazy and didn’t want to walk all the way around the street to get over to his street. Regardless, my point is because I was alert to a smell that was not normal for my environment I was one step ahead of the fact that something and in this case someone wasn’t where they were supposed to be. Know the normal smells of the environment you are in be it work, home or outside your common areas. I know when my neighbor is doing laundry because I smell their dryer sheet when their dryer is on. Or when the neighbor down the street is having a cookout from the smell off their barbeque. Be alert to a change in smell or order, smoke from fire be in inside or out, or cigarette, different cologne or perfume, even food smells. Any smell that is out of place from the normal smells of your area or environment. Be aware of which way the wind is blowing, if someone is trying to do something bad, they may be smart enough to make sure they are downwind of you so you don’t pick up a smell. The good news is in an suburban environment most people just aren’t smart enough to think that way, but you need to be. Be prepared to handle what may come your way, always be alert, have a way to defend yourself, and an escape plan. Always better to run, especially if alone, if you can rather than fight alone. 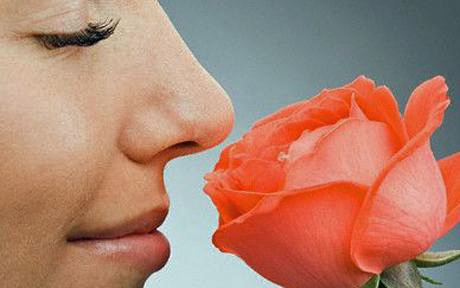 Refining all of your senses not just sense of smell, is a smart move and the time to do it is now. What do you think?